The SPQG meets monthly on the 2nd Monday of the month at the Lubbock Garden and Arts Center. (If LISD closes for inclement weather, the guild meeting will be canceled.) Meetings in March and September are held on the 3rd Monday due to Spring Break and GAC activities. The room is available until 2:00pm, so members may hang around and utilize the space and tables if needed. In 2019, the guild will be holding several "Stay and Sew" events to work on several charity projects. Check out the Upcoming Events for dates. We have hand quilters, machine quilters, long arm quilters, art quilters, traditional quilters, modern quilters and any other type of quilter you can imagine. The highlights of our meetings is show and tell where members can show off those items they completed to a group of people who can truly appreciate the time and effort required. In July of 1976, Betty Arper coordinated an all-day quilting bee as a Special Event at the Mahon Library. Area quilt makers brought quilts for display and demonstrated methods of Quilt making. The event aroused so much interest that several of those present decided to organize a quilting group. An advertisement was placed in the newspaper inviting interested quilt makers to attend and bring quilts, both old and new. 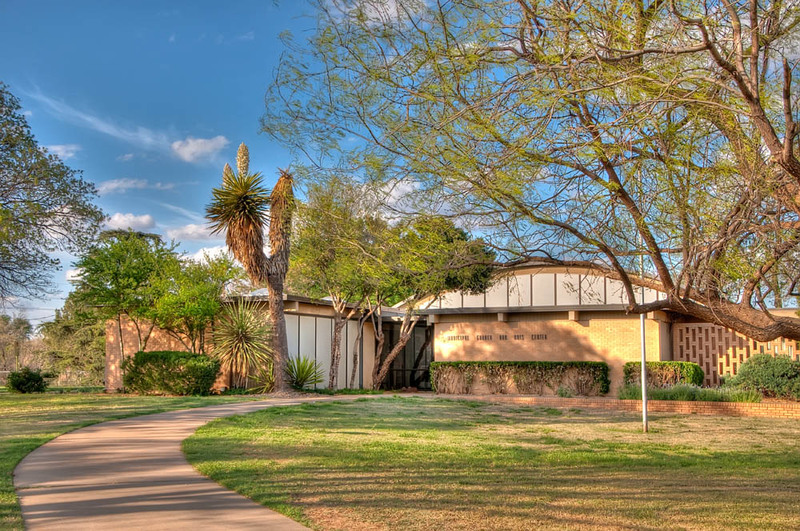 The meeting was held in the garden and Arts Center on January 25, 1977. Approximately 40 people attended and displayed about 100 quilts and gave the history of each quilt. An organizational meeting was set and on March 1, 1977 the group was formed. The Quilting B's was chosen for the name and Betty Arper was elected president. On October 8, 1978 the name of the organization was changed to the South Plains Quilter's Guild. Dot Lawson served as the first president of the new guild.